Being an account of the nefarious Adventures of various Ne’er Do Wells and Plucky Heroes around the streets of London, Heart of the Empire, circa. 1895. 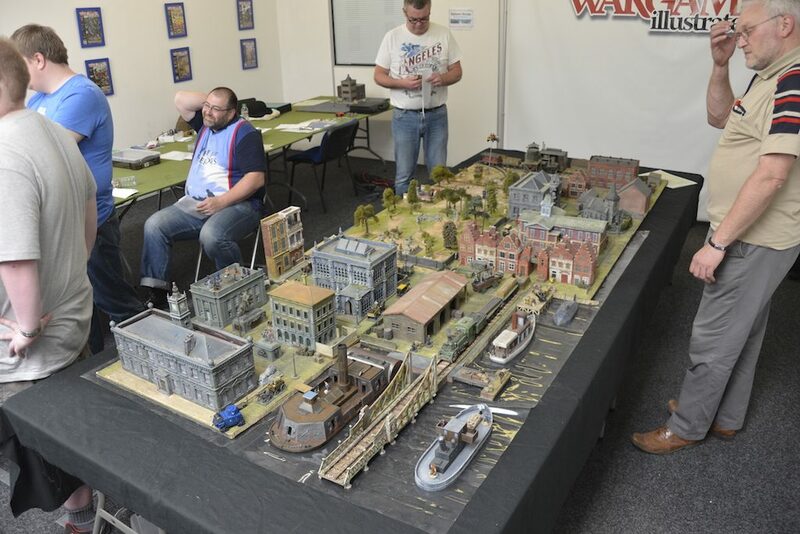 Whilst lesser mortals were languishing a-bed, brave men were arriving at Wargames Illustrated HQ in Beeston, Nottingham, UK to take part in our latest gaming event. 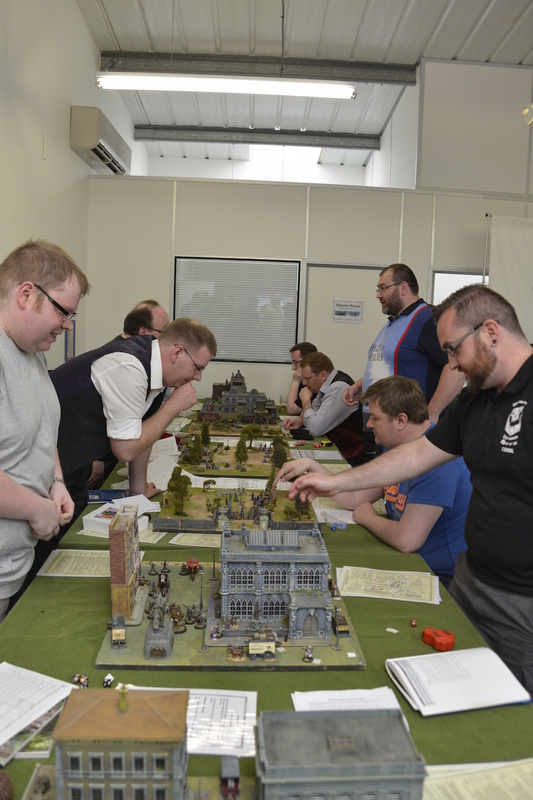 The whole day was themed around a series of games which came together to make one overall adventure, complete with clues to find, group discussion amongst the two factions (Stalwart Heroes and Dastardly Villians) and an awful lot of dice orientated carnage! 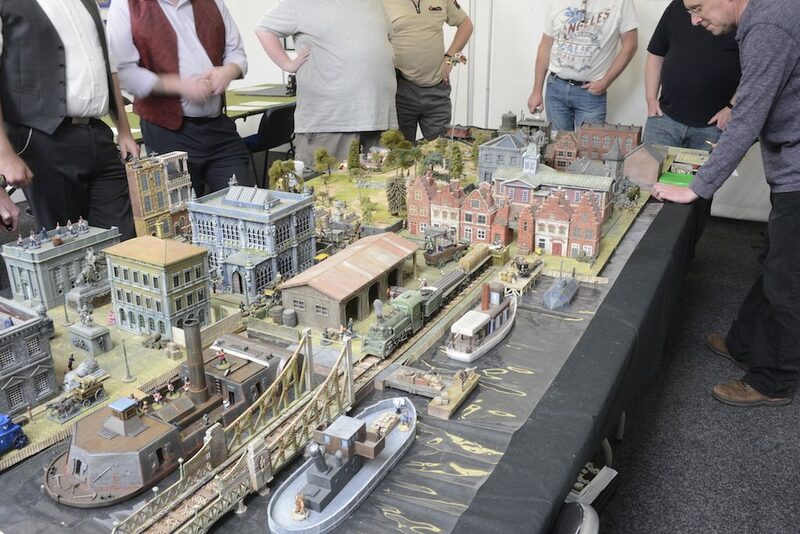 All the scenario information used on the day is available for free from our website, just look for the relevant title and use it to your heart’s content. 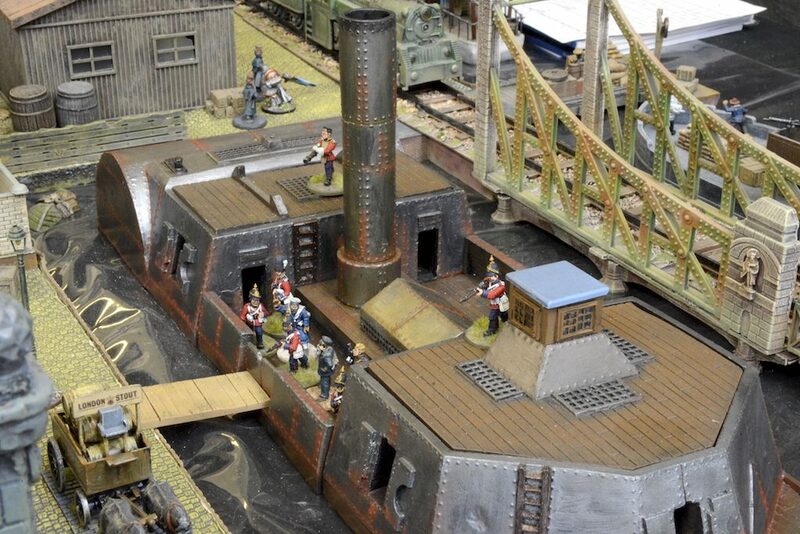 Unfortunately, we can’t offer you the figures and terrain this way but we’re sure you can sort that out for yourselves! 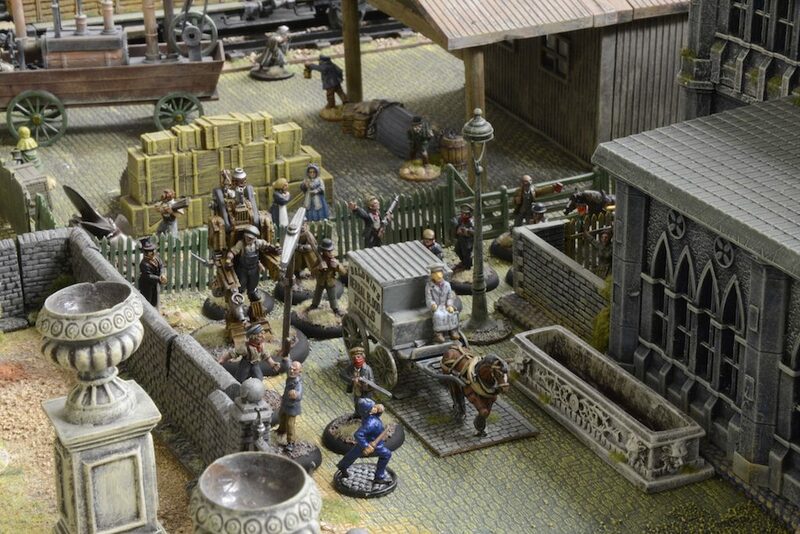 But we have included the latest version of the reference sheets, tokens and the errata information taken directly from the IHMN website maintained by the rules authors. Enjoy! 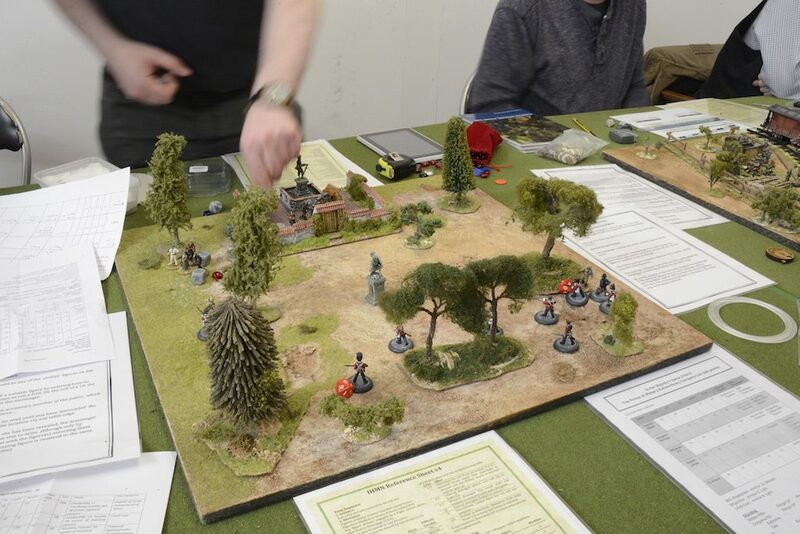 Early action as the first scenario, Catch the Pigeon! is played out – will it be Bravo! or Poor Show! on the clue envelope? 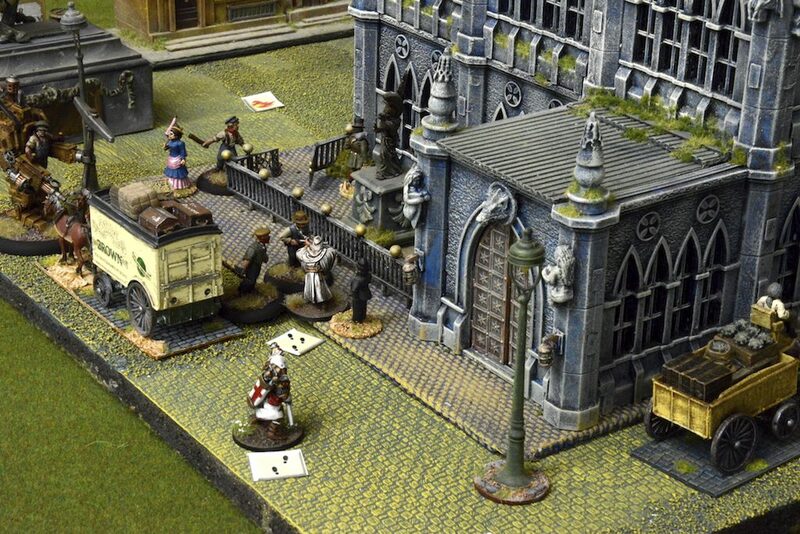 The Knights Templar take on the Brick Lane Commune – two sets of fanatics clash amidst the bustling city! 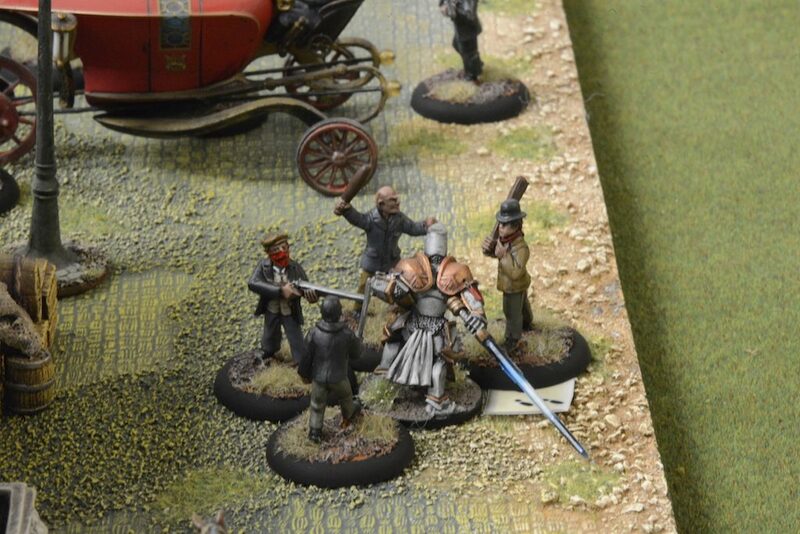 Four members of the Commune versus the Master of the Templars? Oh, I say! 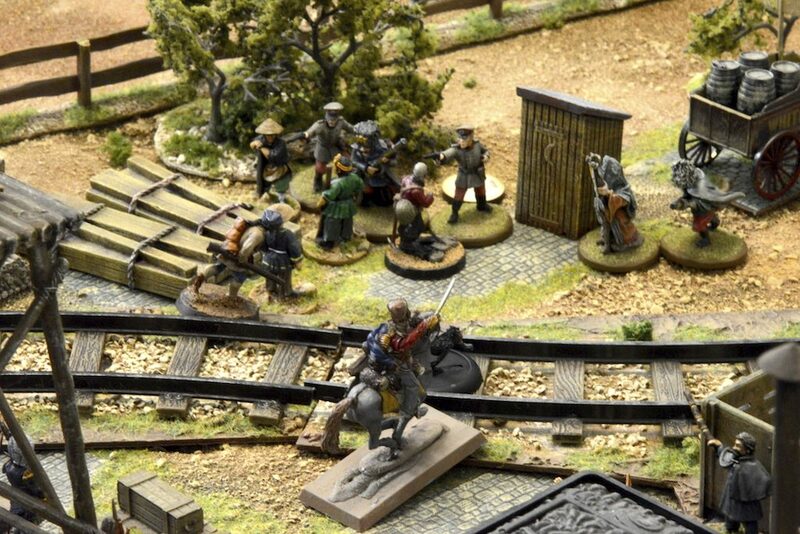 The marshaling yard is the scene of yet more adventuring! 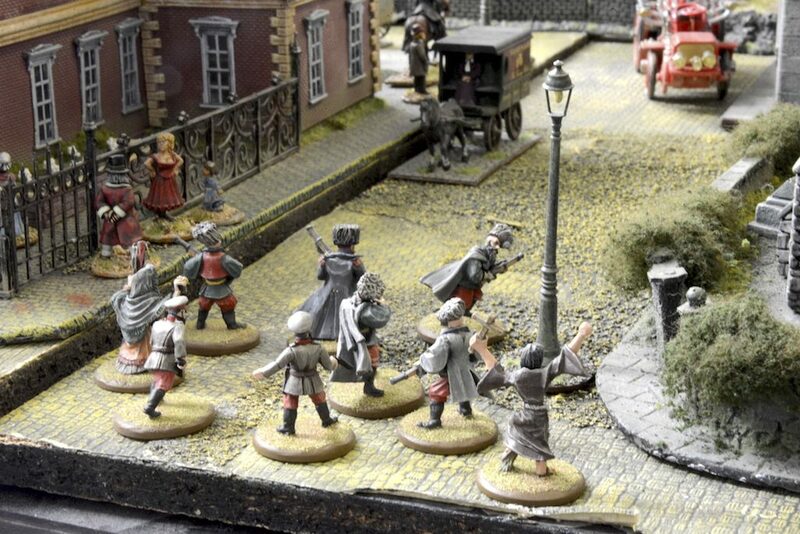 Meanwhile, a slice of Victorian London is assembled, ready for the final game! 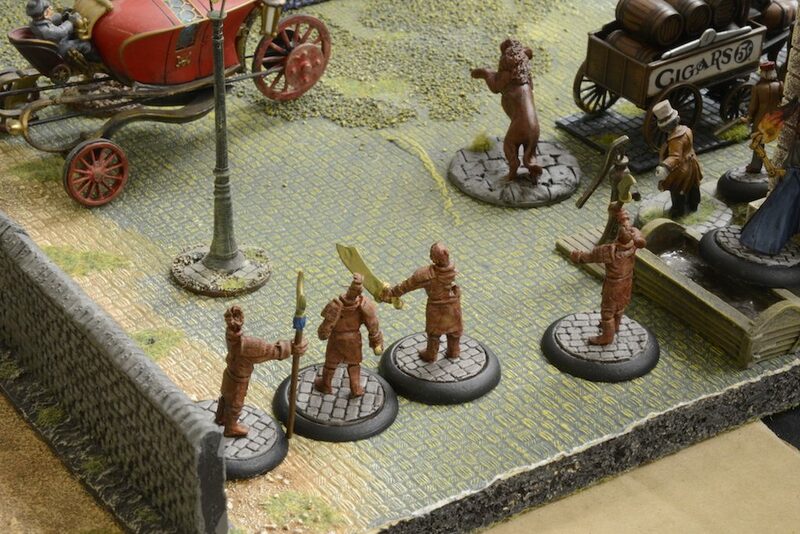 Whereas, the Brick Lane Commune intend to advance to attack the arch-Imperialist Queen, chasing the constabulary from their path! 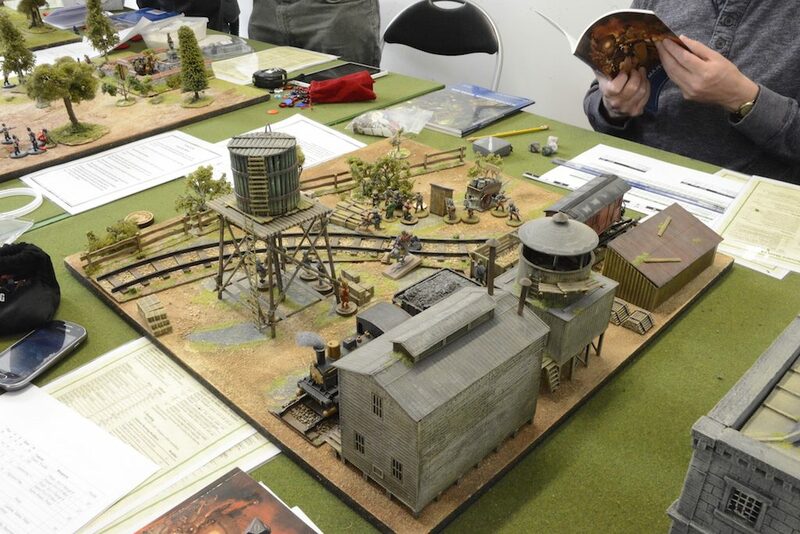 So, three locations, three final games, each taking place upon the same amazing table! 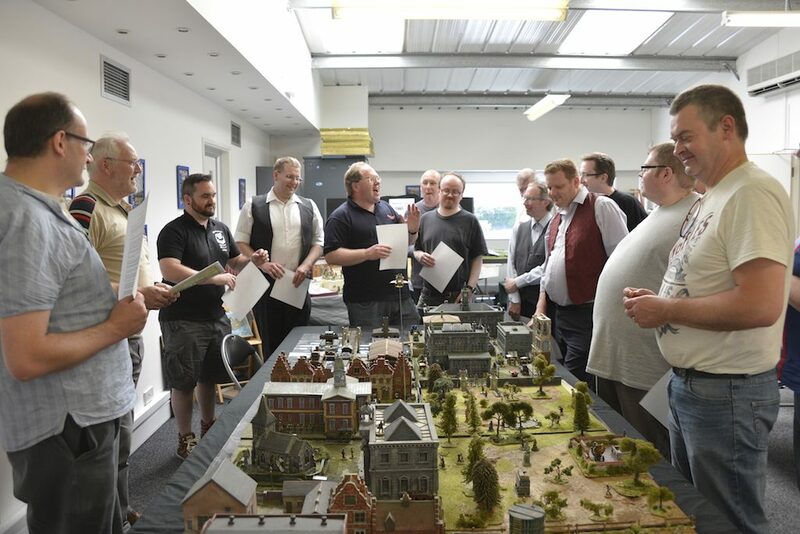 As the gunfire ceases, the smoke clears and the screaming of the wounded subsides, GM Wayne completes the adventure by bringing the tale to its conclusion – a victory for the forces of Evil! 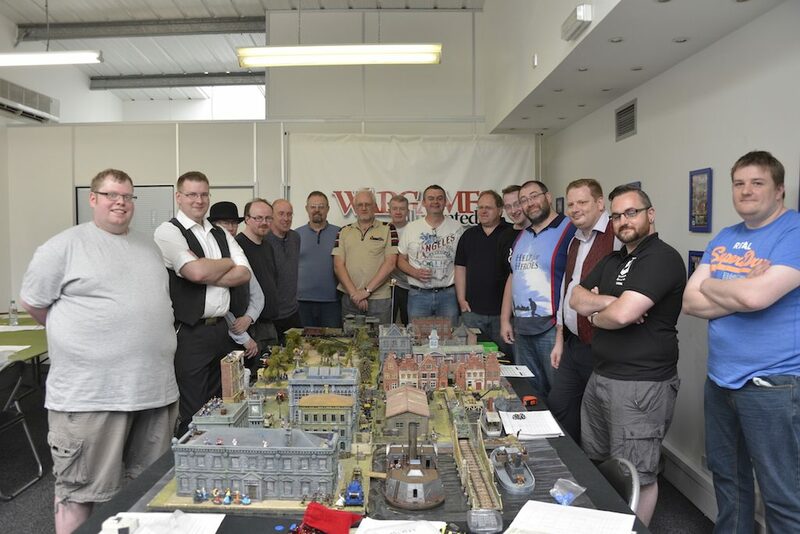 And so ended the latest gaming event run at Wargames Illustrated HQ in Nottingham. 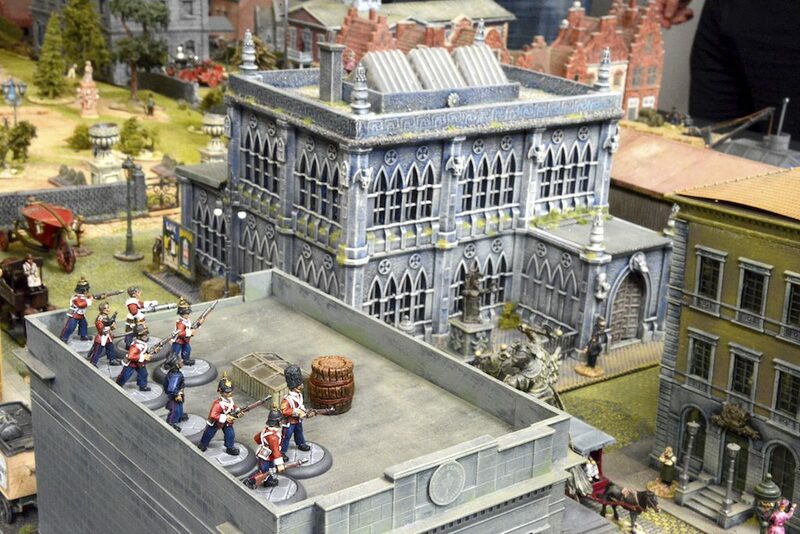 We shall return to the world of In Her Majesty’s Name at some point in the future (perhaps in time for the next printed supplement…) but don’t forget our other offerings this year, including another Lion Rampant Day towards the end of September and a Frostgrave Day planned for around the end of November. 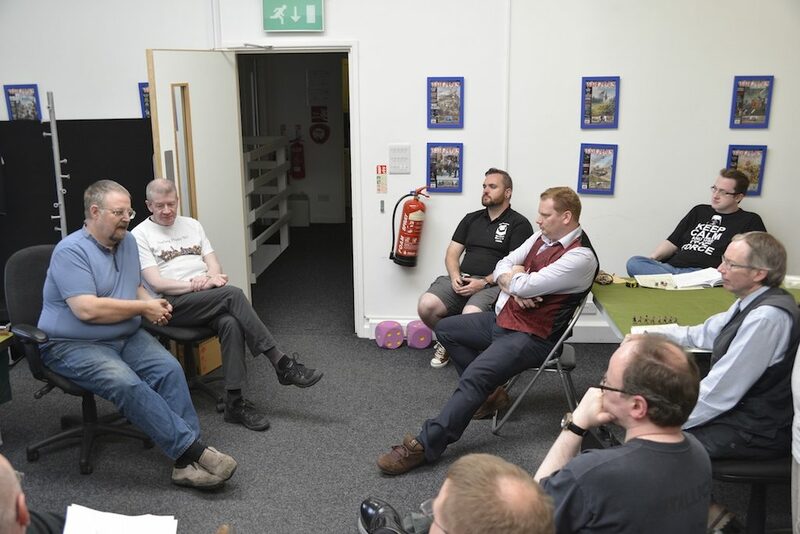 We are also already working on our events programme for 2016, including exciting plans for those who can’t easily get to Nottingham in the UK to attend.